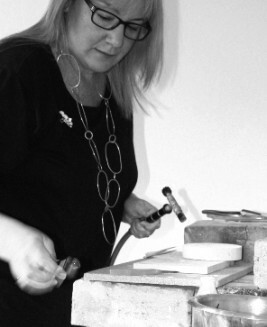 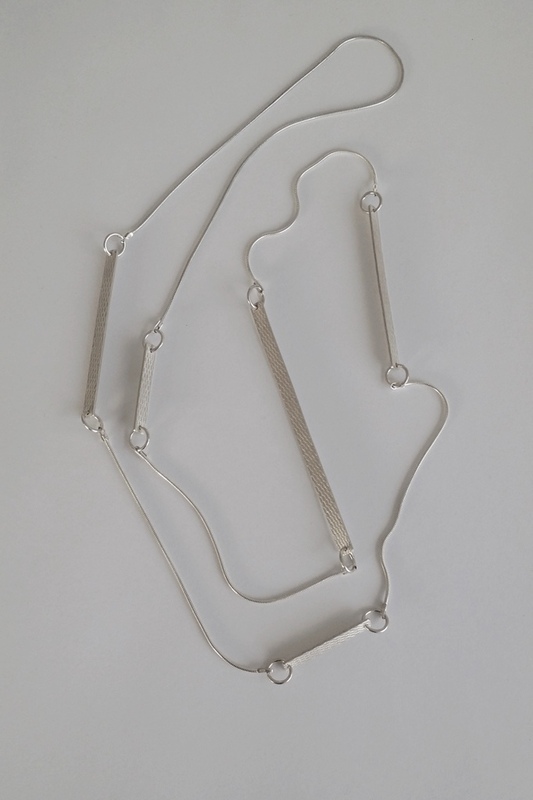 Denise lives in Auckland and handcrafts contemporary jewellery designs from her home workshop. 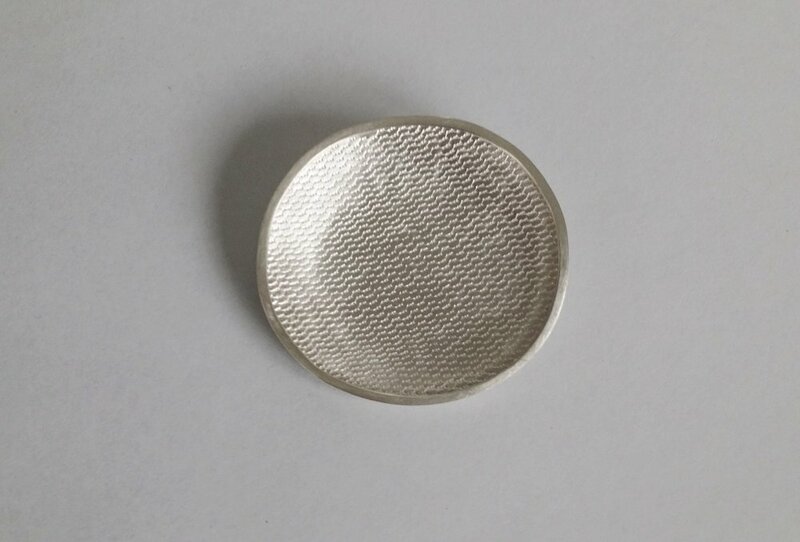 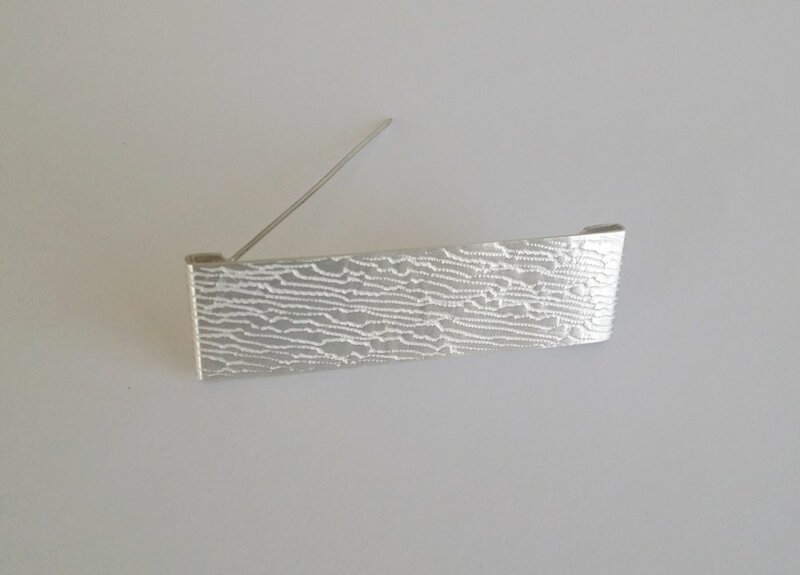 Working primarily with sterling silver, Denise makes a range of brooches, chains, earrings and rings inspired by a fascination with layers and textures. 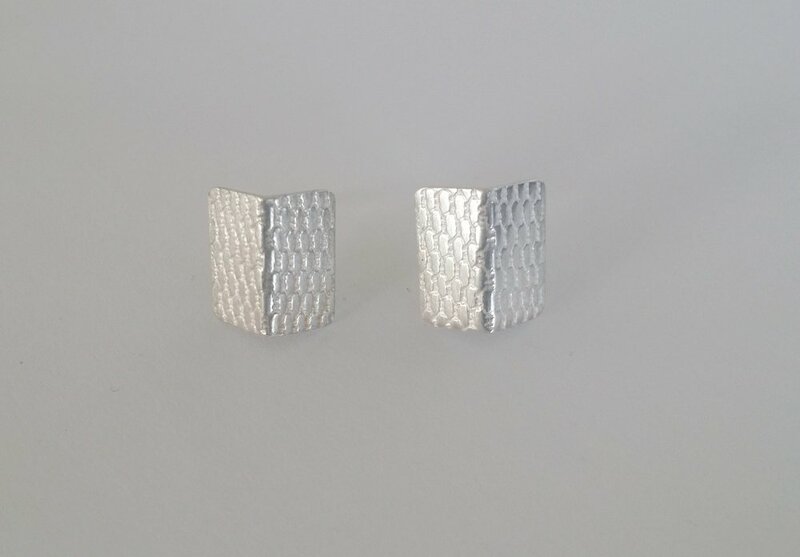 The pieces feature repetition of geometric shapes and forms. 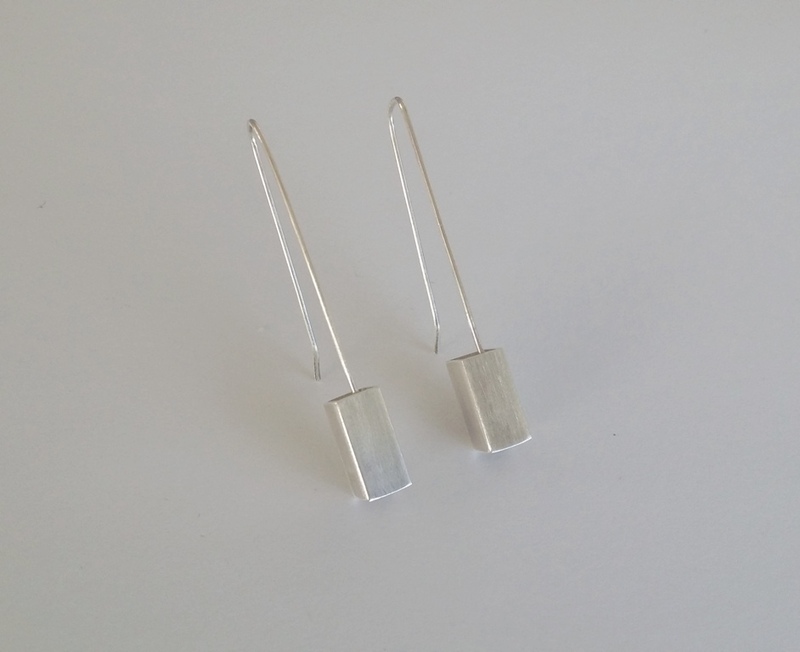 White and black finished metal colour options are achieved using ‘bleaching’ and ‘oxidising’ techniques in addition to the more traditional highly polished silver colour.